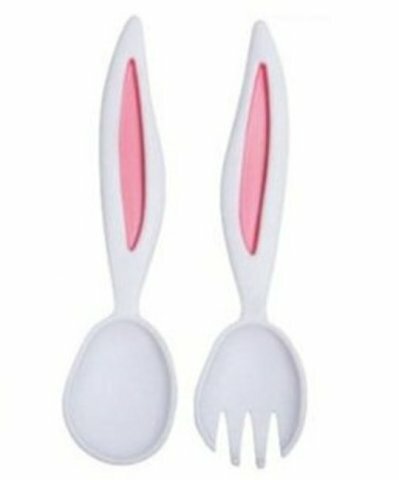 These cute utensils are made of safe, food-grade plastic and make kids feel more interested in eating. You little one will also feel more important by having his or her own flatware at their place on the table. 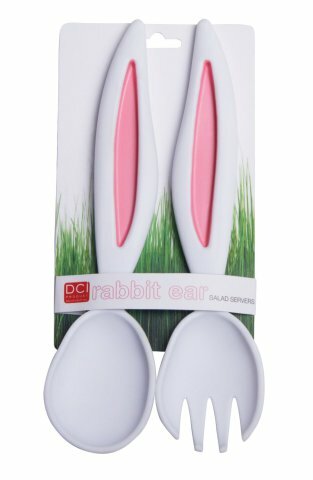 To order a Rabbit Ears Baby Spoon and Fork Set, click here. 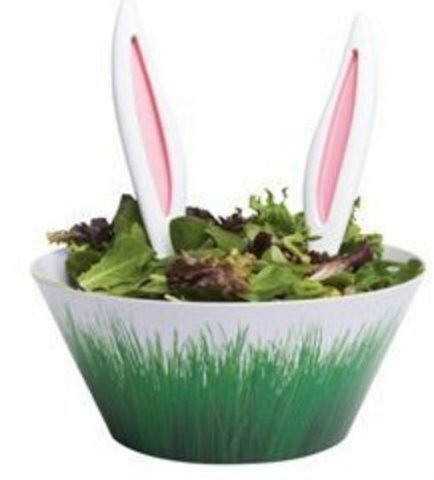 To order a Rabbit Ears Salad Server Set, click here.